Silvertone was the brand name that Sears was using for all of their musically related products in the 1960s including guitars, amplifiers, radios, record players and more. Sears would contract with another manufacturer to make products that they could then sell through their popular catalog. 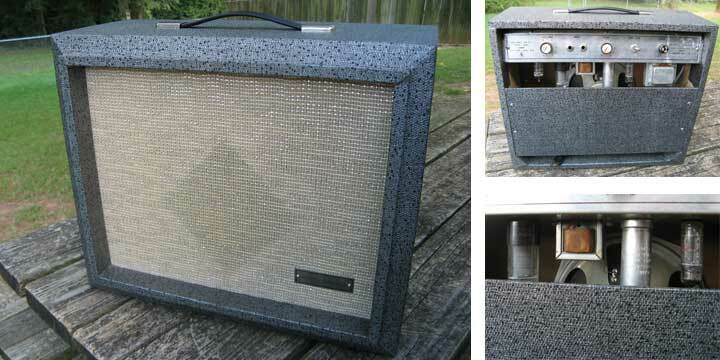 The Silvertone amplifiers manufactured by Danelectro in the mid-1960s have become the most popular among guitar players for their great tube tone and Cold War-era styling. The 1481, 1482, 1483, 1484 and 1485 amplifiers were made with particle board cabinets and thin, bent aluminum chassis sometimes incorporating blocks of wood but that's where the cheap parts end. 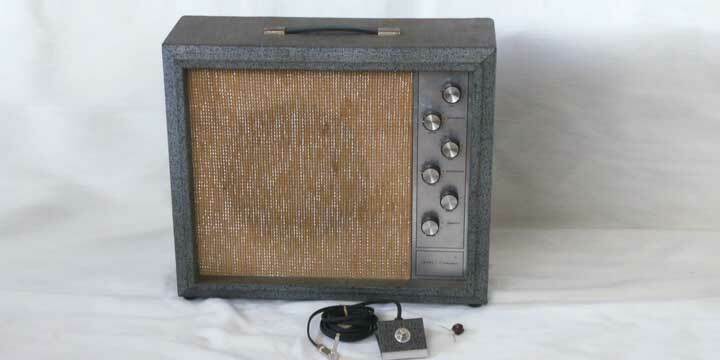 Sears was sourcing tubes from RCA and rebranding them with their Silvertone name. The 1484 and 1485 both come with the ever so desirable RCA manufactured 6L6GC power tubes which can run about $400 for a new old stock pair. How's that for cheap? Lately, we're seeing these amp steadily climb in popularity and value, for the 1485 in particular. Here's a breakdown of the five 1480 series amps, and how they compare. The 1481 is a single ended, point to point hand wired all-tube amp using a single 12ax7 preamp tube and a single 6v6 power tube. The single 8" speaker, low wattage output and small box make this amp a very portable and apartment friendly vintage amp that also won't break the bank. Its simple circuit also makes it easily serviced so you can take this one to gigs around the country. Mic it and let the world know how they're missing out on Silvertone. The 1482 might be the most popular of the whole series featuring two 6v6 power tubes in a push/pull configuration and a 12" Fisher made speaker. There's a pair of 12ax7s powering the preamp as well as a 6au6 powering the rich, deep tremolo circuit. The 1482 was the only amp in the series with a vertically mounted chassis which allowed for those cool, tv-style cosmetics. This amp is often compared to the brown face Fender Deluxe however it's a completely different animal tonally. It's voiced a bit darker and seems to break up a bit earlier than a Deluxe from the same time period. The drive is more similar to a narrow panel tweed Deluxe. This may be the most obscure of the bunch with clean examples difficult to track down. The 1483 was the smallest in the piggy back, head and cabinet portion of the run with a single 15" Jensen speaker. The pair of 6l6 power tubes made about 23 watts out of the two 12ax7 preamp tubes. 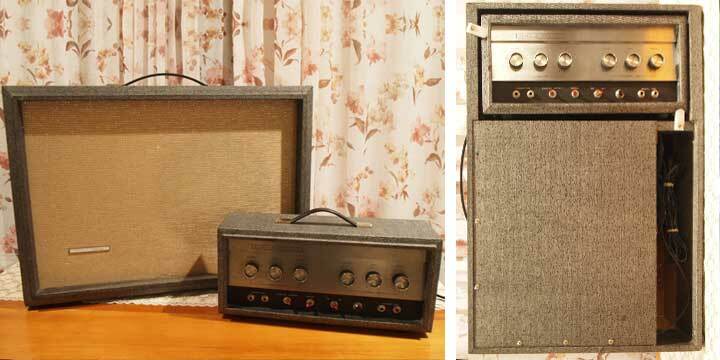 This amp offered two channels which both had their own bass and treble adjustment but it didn't have reverb or tremolo. The 1484 is likely the second most popular of the series and is often compared to the Fender Bassman. 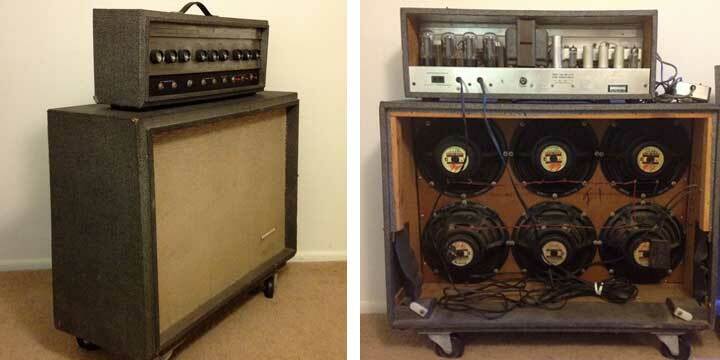 It features a pair of 6l6 power tubes and three 12ax7 preamp tubes through two 12" Jensen speakers. This model also had Reverb and Tremolo which is easily toggled via the two button footswitch. The lush tremolo is instantly transports one to a wide open desert range with Tele in hand however most players will find the reverb a bit unusable. The reverb can be adjusted either 0% through 100% wet meaning that you can turn the amp's gain to zero with the reverb at 100% to achieve a low-fi space-echo tone. If you're looking for a Fender style reverb then you may wish to use a separate reverb unit or pedal. The daddy of the whole series is the 1485 which features six 10" Jensen speakers and produces about 120 watts! This amp can also be a bit difficult to find. It came with a matched quad of 6l6 power tubes to make all that power. It also had two channels, that goofy reverb and the luscious tremolo with footswitch. The 1485 doesn't really have a Fender equivalent which made it pretty unique in the 1960s. 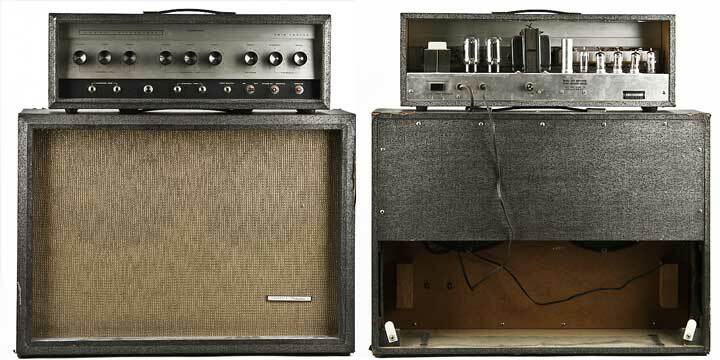 These amps are known and revered for their unique tone as well as the mild-to-wild overdrive. You can go from a light drive to full blown rock and roll with the slightest change of attack on the strings. In my opinion, these are real sleepers in the current market. Time will tell if big players end up playing these amps or just sticking with the big names.